America was founded by strong believers in Jesus Christ. It was the world’s greatest example of freedom and Christian principles. It befriended God’s Chosen People, both before and after Israel was reborn as a modern nation. It was blessed by God in keeping with the promise given to Abraham. Prophecy students have wondered for decades why the United States will not apparently be a major player in the Bible’s End Times scenario. Europe is predicted as a Revived Roman Empire, but with a much weaker composition than ancient Rome. Ancient biblical lands will be involved in the prophetic future. They have modern names: Iran, Iraq, Syria, Libya, and others. But how could the one great “superpower” of our generation be ignored at the end of this age? Just a few years ago we could not have imagined how rapidly our beloved country would decline. An honest evaluation of The United States today reveals that we are growing weaker economically, militarily, and above all, spiritually. Many Churches in America are retreating from a literal interpretation of the Bible, and have allowed the corrupting influences of secular humanism, the sexual revolution, abortion, and other false beliefs and practices to slowly infiltrate their leadership. This change is predicted in the Bible. It is called apostasy, or a “falling away” from the truth. As a result, our nation is in danger of God’s judgment. But like the biblical example of Nineveh, whose people repented in Jonah’s days, there could be a great revival first. We are praying for this! 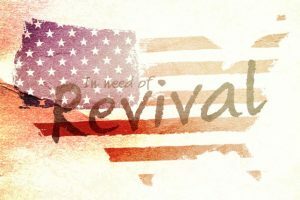 If we do experience another great revival, like the “Jesus People” movement of the 1970’s and 1980’s, there might be another explanation about the apparent absence of the USA as a superpower during the End Times. Perhaps a large percentage of young people will have become true believers in the Lord Jesus Christ, and will have disappeared at the Rapture! This entry was posted in Elections, Evangelism, Jesus, Rapture, Revival, Youth and tagged Bible prophecy, Jesus, Rapture, Revival, youth. Bookmark the permalink.